We Buy Any House Mansfield!!! We buy houses in Mansfield,TX and all surrounding counties in North Texas. Click Here To Sell Your Mansfield House Fast Right Now!! Need To Sell Your Mansfield House Fast? Metroplex Invest is known for our saying “We Buy Any House Mansfield, TX.” We are a team of Mansfield house buyers operating in your market buying houses from families in situations out of their control who need quick results. We help you to sell your Mansfield house fast by paying cash or purchasing the home from you on terms with a large down payment and the remaining balance paid monthly. We operate 7 days a week from 9Am to 11PM and stay open long hours working to help families in our community. YES WE DO PAY CASH and we buy houses in Mansfield, TX. We also are actively buying multi-unit properties, vacant land lots, and manufactured homes. 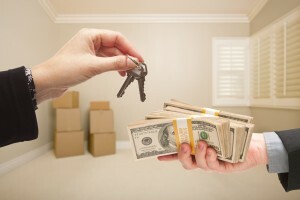 We have the ability to pay TOP DOLLAR prices for the properties we acquire. 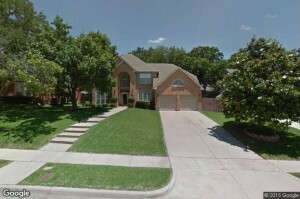 We buy any house Mansfield so if you are in a situation where you are needing to sell your house fast in Mansfield, TX now is the right time to enter your information below in the online form or call us right away at 469-319-1330. We Buy Any House Mansfield Benefits…. We Buy Any House Mansfield!!!! Call now to sell your Mansfield House Fast!!! The primary reason we are continuously told by the families all across North Texas we work with that they come to us is because they hear that we buy any house Mansfield. Believe it or not but we are unique in this way because most other companies will not just buy any house and they are targeted and highly selective on the houses they actually will look at to buy. The Metroplex Invest team is not concerned with the area, condition, or price. If the property has not fallen down then we can still help you sell your Mansfield house quickly. Here Is A List Of Benefits We Offer Our Clients….. The Same Day You Call We Will Make Our Offers (CASH & TERMS)!!! GET AN OFFER ON YOUR HOUSE TODAY CLICK NOW!!! Answer a few questions about you and your property. We will then make our offers… a CASH and TERMS offer within just a few hours. If you choose to proceed we will draw up a purchase agreement. We will take the purchase agreement to the title company. We Buy Houses In Mansfield And At Any Price In Any Condition. Avoid the nightmare of struggling to sell your house and call us right now at 469-319-1330. Dealing With Any Of These Problems??? We Buy Any House Dallas Fort Worth!!!!! Pending Foreclosure? Divorce? Job relocation? Behind on the mortgage? Liens? We help home owners just like you who have inherited a problem property or who missing payments even if the house is in major need of repairs that you cannot afford we can still help on a moment’s notice. WE DO THIS EVERY SINGLE DAY!!! We are a highly qualified seasoned team of experts and a strong leader in the Mansfield house buyer market. Do You Need To Sell Your Mansfield House Fast? We Buy Any House In Mansfield,TX!!! We Buy Any House Mansfield… Sell Your Mansfield House Fast Call Now!!! Our primary mission is to help make your life easier while paying a fair and honest price for your Mansfield house. We buy houses in Mansfield, TX 76063. Do you need to sell your Mansfield house fast? If so please reach out to the Metroplex Invest team right now… we are always thankful and grateful to be chosen as the ones to help you and your family fix your real estate headaches. A quick phone call never hurt’s to see what we can offer on your house today. Click Here For Information On Current Home Values In Mansfield…. Click Here For A Quick Overview Of Current Real Estate Activity In Mansfield…. GO HERE FOR MORE INFORMATION ON SELLING YOUR MANSFIELD HOUSE FAST TODAY!! !